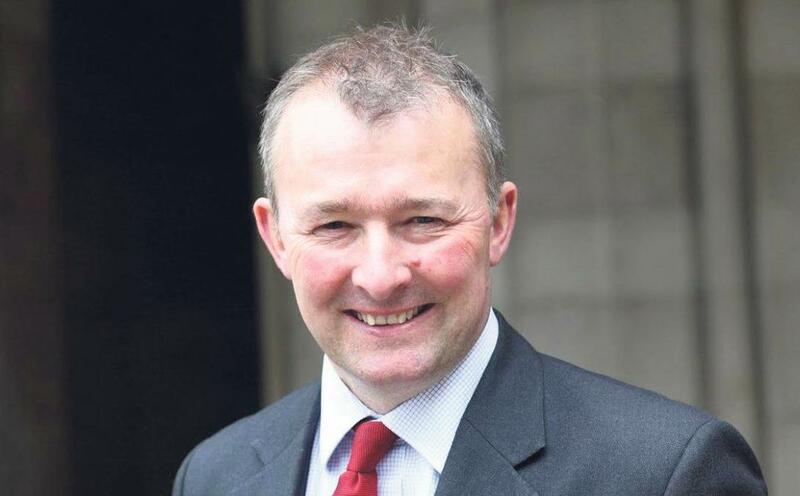 A LOCAL MP was involved in a heated discussion on social media last night (Jul 9) when he told a fellow Conservative Member that ‘nobody gives a f**k’ about his resignation. 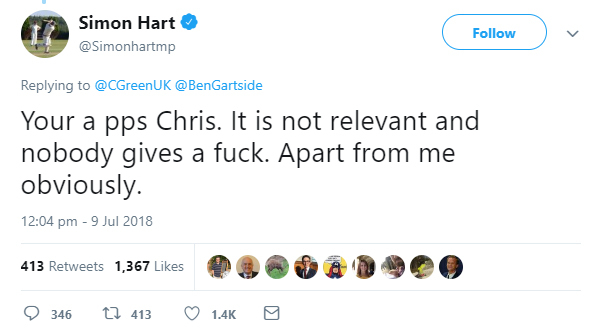 Simon Hart, the MP for South Pembrokeshire and Carmarthen West, made the outburst on Twitter following the resignation of Chris Green, the Parlamentary Private Secretary to Transport Secretary Chris Grayling. 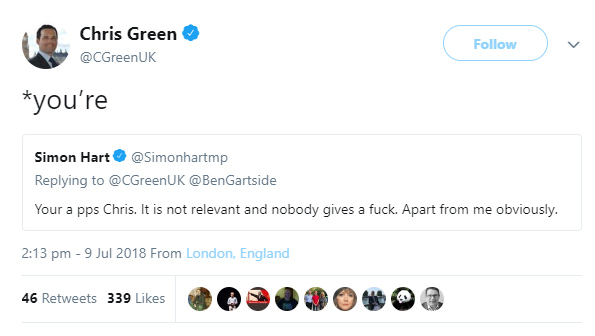 Mr Green replied to the comment only with a sarcastic correction, saying ‘you’re*’. Tensions are running high in the Conservative party following the resignations of Boris Johnson and David Davis yesterday, over concerns of the way the Prime Minister is handling Brexit. Earlier in the day, Mr Hart said: “Whilst everybody calls for Theresa May’s head its worth remembering that it’s David Davis who has actually failed here. Over 2 years as Brexit Sec and what’s to show for it?